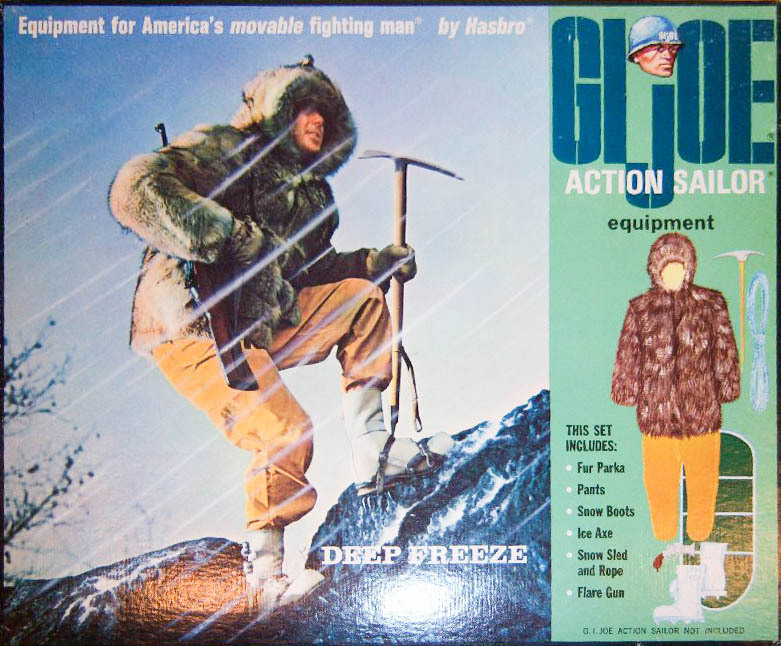 Deep Freeze (7623) took the Action sailor to the arctic with snow gear that rivaled the Soldier's Ski Patrol and Mountain Troops sets. The set was first issued is arare 1967 window box. 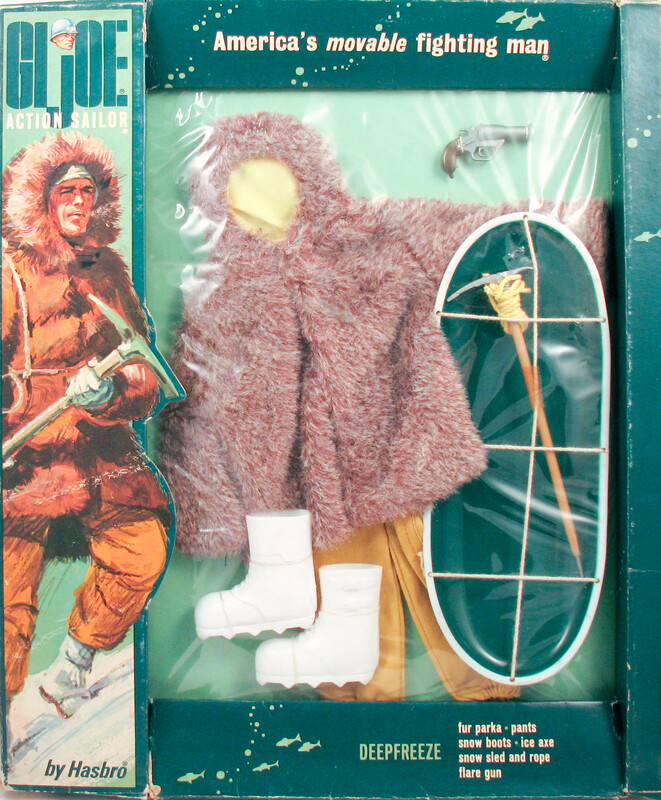 This very rare 1968 photo box appears courtesy of Dan Whitton, one of the top collectors in the hobby. Dan is a super knowledgable resource. He can be found selling both GI Joe and great vintage militaria on eBay. 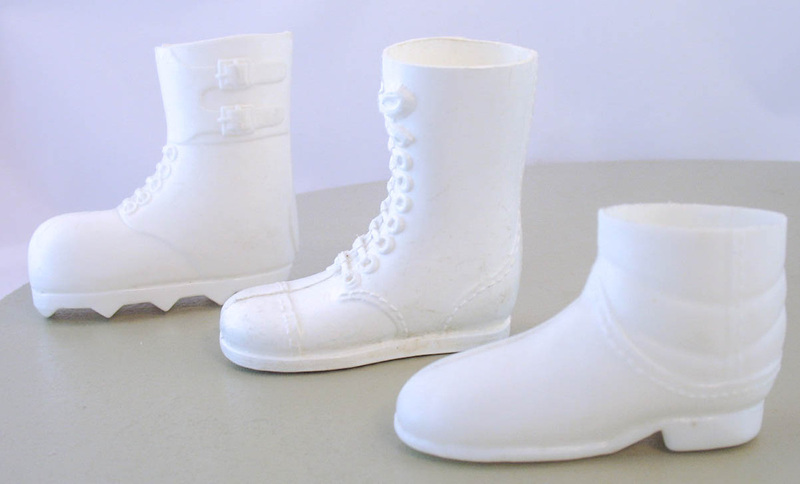 It has long been stated that the set occasionally came with tall white lace-up boots, or a rare short white version of the Soldiers of the World jackboots. Since neither of these variations have ever been found in the box, this seems unlikely. The tall white lace-up boots properly belong with the 1969 Talking Astronaut, but are still a rarity. The short white jackboots have been found in knock-off accessory packages, and that appears to be the actual source for them. The major variation in Deep Freeze is the jacket. They come in both long and short versions as seen in the spin above.